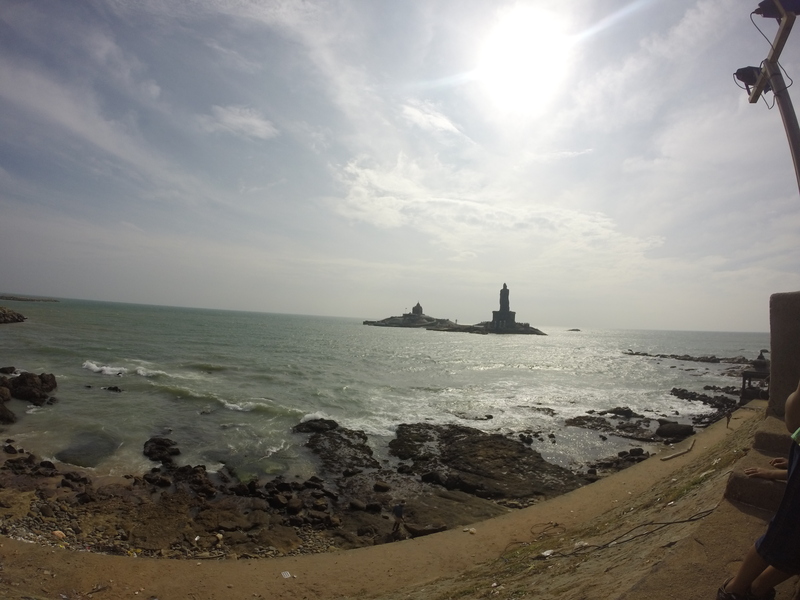 Kanyakumari – stopping at the very end of India! 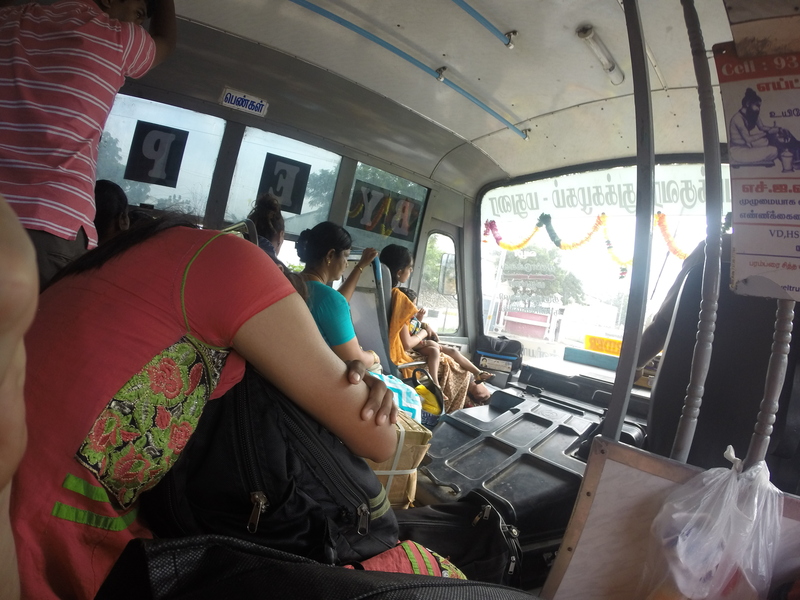 After a grueling bus trip from Madurai we landed in the most southern seaside town of Kanyakumari. 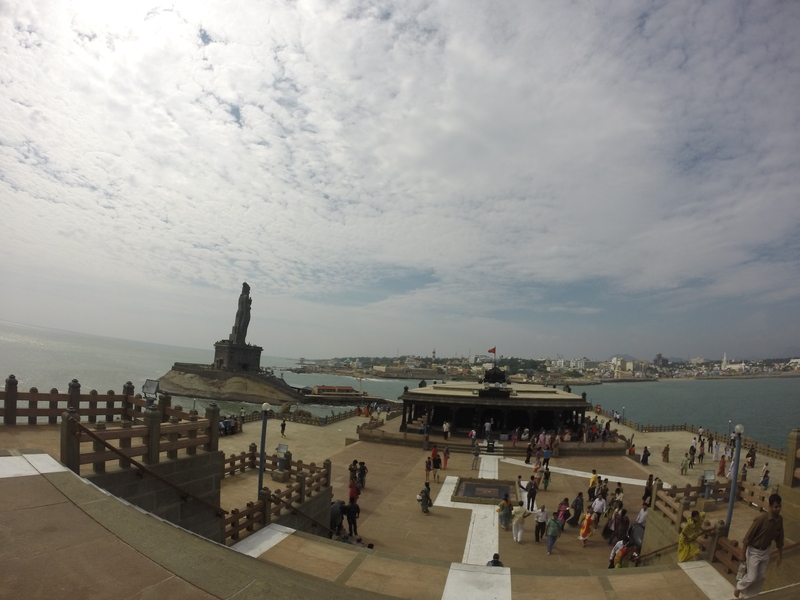 The goddess temple of Kanyakumari is a wish-fulfilling shakti-peeth (I plan to visit all 52 of them! ), and is known for bestowing blessings and wishes upon the faithful. We also took a ferry ride to the famous rock monument of Vivekananda. On the island, we sat for about an hour in a really cool meditation hall dedicated to the soothing sound of ‘omkara’. It was the perfect end to a busy day. Kanyakumari is a very popular Christmas holiday destination for the Indian masses. Our next stop is Ponducherry for Xmas day. Wishing you all a merry Xmas & happy holidays!